Adam Rocke, a retired U.S. Army colonel, has joined SAP National Security Services' nonprofit organization NS2 Serves. He will oversee a training and employment assistance program for military veterans and lead community outreach efforts such as a road show called #NS2ServesNEXT Jeep Project, the nonprofit said Thursday. "This is an amazing opportunity to make a real difference in the trajectory of the personal and professional lives of our transitioning veterans and their families," Rocke said. 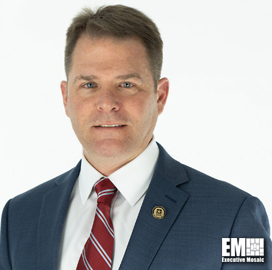 He previously served as vice president for veteran affairs at Fastport and as director of the Army's Soldier of Life Program, which offers a network of resources meant to help soldiers, veterans and families return to civilian life. NS2Serves said it aims to train 400 former service members in technology by 2021.